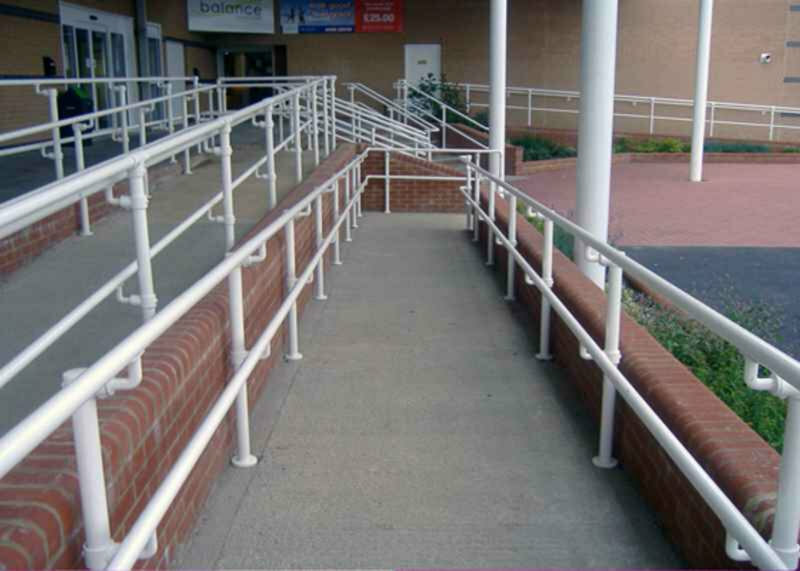 Cost effective handrail installation suitable for stairs, ramps or walkways that conform to the railing requirements of the American with Disabilities Act (ADA). Designed with versatility and speed of installation in mind. Ideal for use in creating new structures, the system can also be used as a retrofit solution. The system does not require any welding or threading, and is easily assembled without specialized workers or equipment. Using unique inline pipe fittings and gator tubing, our ADA handrails are more corrosion resistant, easier to install, and simpler to spec than welded railing. Learn more about why you shouldn't use welded railing. 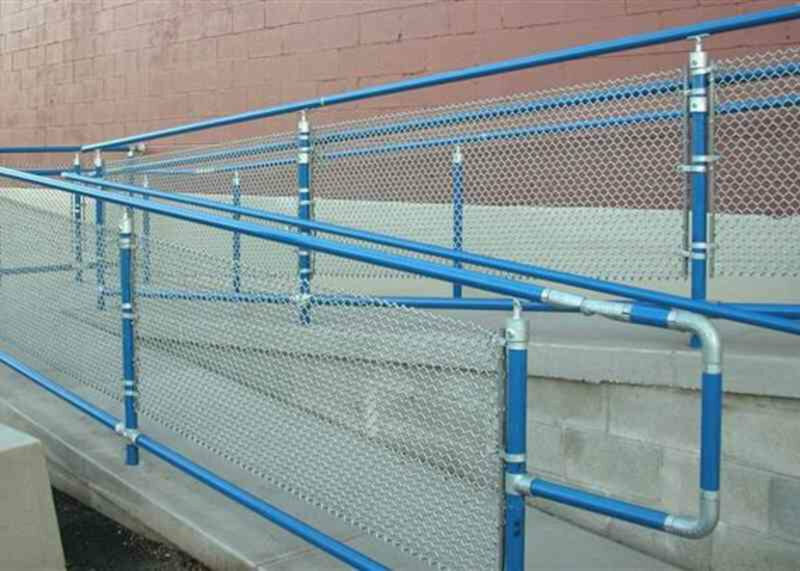 All fittings and pipe are fully galvanized to ensure your ADA handrail will stay pristine in rough climates. Browse our image gallery to see more. The key to building an ADA handrail is to know what makes a handrail compliant. 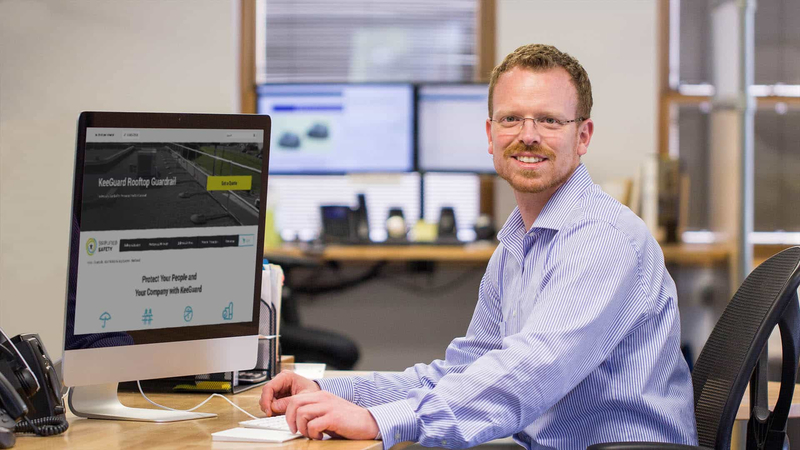 Browse our breakdown of ADA guidelines to learn the most important ADA standards. 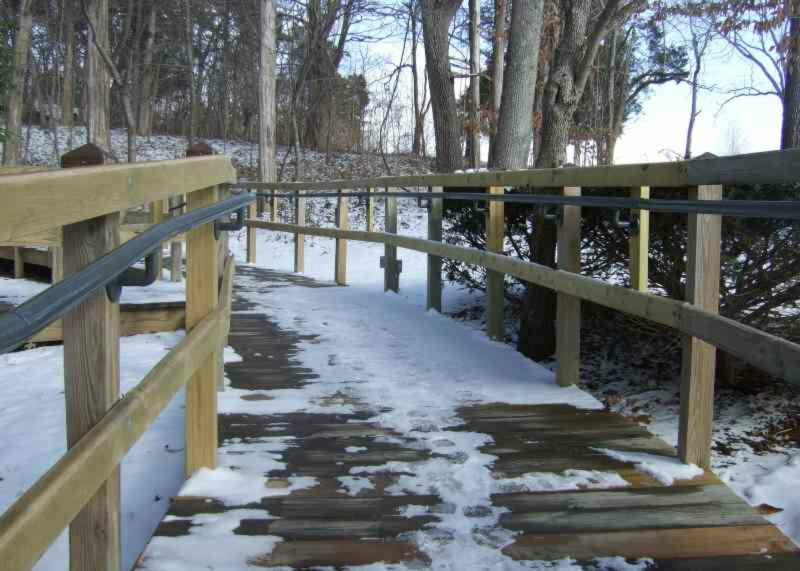 Tell us about any ramps, stairways, and the number of sections you'll need.